132 years ago today, 12th August 1883, the last quagga died, alone in her cage at Amsterdam Zoo. The celebration/commeration of Quagga Day has become annual fixture at the Grant Museum, as we are one of only six or seven institutions worldwide to care for a quagga skeleton. As such, we have written a lot about quaggas on this blog, and I won’t go into detail explaining what a quagga is, but for the uninitiated quaggas were a not very stripy kind of zebra that were hunted to extinction in their native South Africa for their unusual skins and as they competed with livestock for grazing grass. Quaggas, we argue, are the rarest skeleton in the world, and we see our role at the Grant Museum as being global quagga champions. For the first time in perhaps 132 years, I’m pleased to annouce that 2015 has been a very good year for quaggas. 130 years ago today, 12th August 1883, the last ever quagga died. As custodians of one of the only quagga skeletons in existence, we consider it our responsibility to commemorate the tragic passing of this, the least stripy of the zebras. Quaggas were a South African Zebra with a stripy front end and a brown back end. Quagga skeletons are “the rarest skeletons in the world“ . They were driven to extinction due to farmers killing them to stop them grazing the land they wanted for their livestock; and for their unusual pelts. 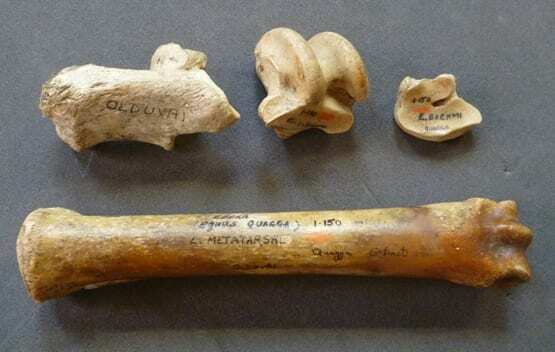 Happy 129th Quagga Day – A new specimen? 129 years ago today, 12th August 1883, the last quagga died. Since I was employed at the Grant Museum I have been looking for ways to celebrate what we call “Quagga Day”. Last year on the blog I described the lack of publicity that quaggas get and I heartily recommend you read what I said. Also read it if you want to know more about what quaggas were, beyond the fact that they were a not-very-stripy-zebra. We never tire of telling people that we have the rarest skeleton in the world in the Grant Museum – and it is our quagga – but regular readers would probably tire of us explaining what they were and what we think about them. 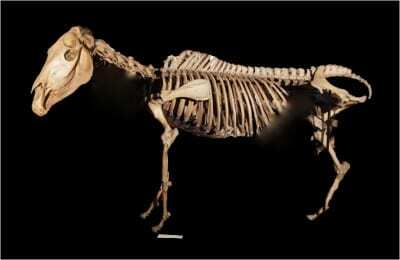 1) Our quagga skeleton now has it’s very own website where you can learn all about it. 128 years ago today, 12th August 1883, the last quagga died. 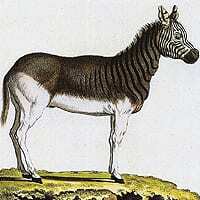 And so here I celebrate what we at the Grant Museum, if no-one else, call “Quagga Day”. How rare it is that the date of the demise of the last individual of a species is known – such opportunities for commemoration should not be missed.